Dogs and wolves possess same ancestors. You can call dog as a domesticated wolf. However, there ways of living and activities are very different. Despite their furious cousins, almost all canines are playful and calm in nature. Canine (dog) breeds such as Golden Retrievers, Labrador Retrievers, Beagles, German Shepherds, Greyhounds, and many others like that. Most of them love to play and hunt. Thus, you can have serious burns on your lovely dogs in summer. You should give due care to their activities in summers. Fulfill the desires of your dog at right temperatures. Go walking in the morning and evening. 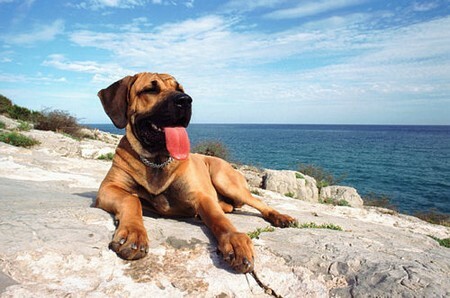 This will keep your dog out of the sweltering heat of sun. Many dogs also like to wander in low temperatures. If you will walk at cooler times it will be enjoyable for you and your puppy. The bowl of water for the dog must be full at every time. Water should be clean and there should be shade above the water. This will prevent the dehydration of dog in hot conditions. Dehydration is the main reason for many disorders. Swimming makes the dog feel very delightful when there are severely hot conditions. Dogs gather heat in their hairy skin. Swimming makes the dogs loose this heat. Thus, the event becomes fascinating for you and your dog. In summers you should stay in shade with your dog. If your dog lives outside, you should take responsibility of its shade. There should be adequate shady areas outside where the dog can keep himself away from hot weather. All vehicles have greenhouse effect. The sun rays radiating inside the car do not come out easily. Thus, you should never ever leave your dog inside your vehicle. You should give proper attention to your dog, it always relishes this. Dog provides you with a sense of security and harmony in turn. Your affection to the dog is very important. You should also do something for your dog’s well-being and proper shape. I will advise you to please keep in touch with your dog along with the worldly affairs and give it your sympathies. At least, you should see whether it is enjoying proper health or not. Visit the veterinarian regularly for the proper wellbeing of your dog.